Exclusive workshop aimed at helping print service providers to learn new skills and applications. 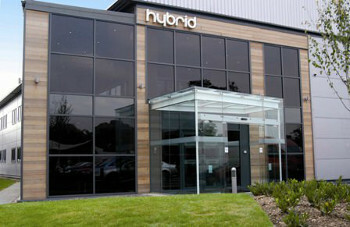 The Wide Format Wave takes place at Hybrid’s Crewe head office Sign and graphics professionals are invited to “ride the Wide Format Wave” this February at Hybrid’s UK headquarters, exploring ways to add value to their digitally printed output by learning new skills and production techniques. Attendees are invited to join Mimaki’s exclusive distributor, along with Soyang Europe, Solent Sewing & Welding Solutions, CADLink and Curvorama, for a special, free, learning experience where they can design, print and finish and then take home a selection of interesting applications. The Wide-Format Wave is an exclusive event which will give visitors the opportunity to find out how to get the most out of their digital printer, building new revenue streams with real application creation experience that they can take away with them. “If you’re new to wide-format, or looking at expanding your existing setup, then this is a great opportunity to come and learn how to add new profit centres to your business,” says Martin Morrissey of Miller Weldmaster’s UK distributor, Solent Sewing & Welding. Software experts CADLink are part of the event, revealing the productivity advantages of their SignLab package as visitors produce a set of stickers to their own design. "Utilising a single software application that is able to provide all of the required design and layout tools for a project, then also RIP, print and cut the completed project streamlines the entire process from start to finish" explained Bernhard Nitsche of CADlink Technology Corporation. "The correct software can save the print provider a great deal of production time and costs in day to day operations". See exciting new applications that your business could be producing at the event vWide Format Wave will be hosted at the UK home of Mimaki in Crewe, Cheshire on the 5th and 6th February 2013. You can find further information and register for this free event by visiting www.wideformatwave.co.uk or speak to a member of the Hybrid team on 0044 (0) 1270 501900.